I had a very successful time on Greenlight with The Dungeoning and got a nice email from Valve saying the game was Greenlit! The game was in the greenlight process for just over 3 months, and I’d like to thank everyone who was kind enough to visit the page and vote. The game should be on Steam over the next few days although it will be Windows only to start with, I need to figure out the Mac and Linux settings for the steam store. On the topic of Mac and Linux, I have updated the Desura and itch.io sites with, you guessed it, Linux and Mac versions of the game! Buyers should get access to all platform versions. 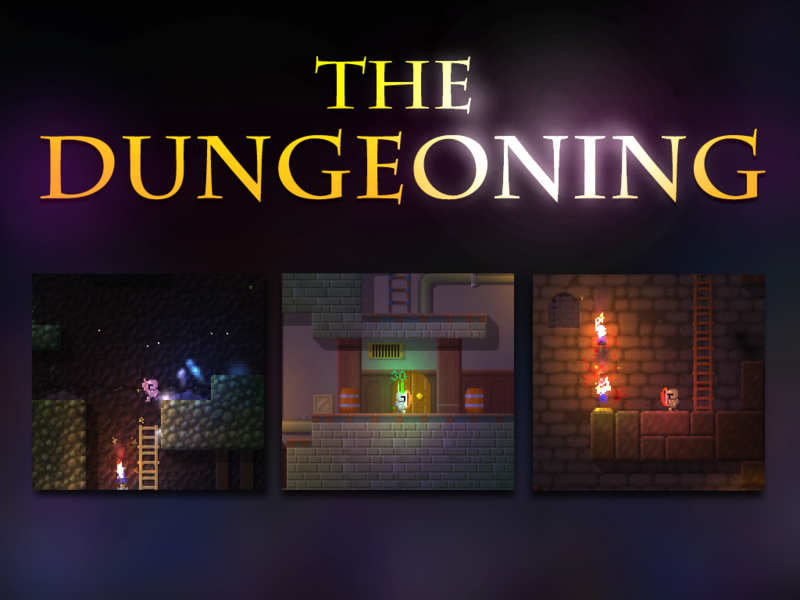 I’m very happy to announce that The Dungeoning alpha PC version is now available to buy on Desura! Head over and give it a try (You can download the demo there too). The game is also now available on itch.io! I’m going to upload the Mac version in the next week so check back Mac folks. Posted in: Game Development, Video. Posted in: Game Development. 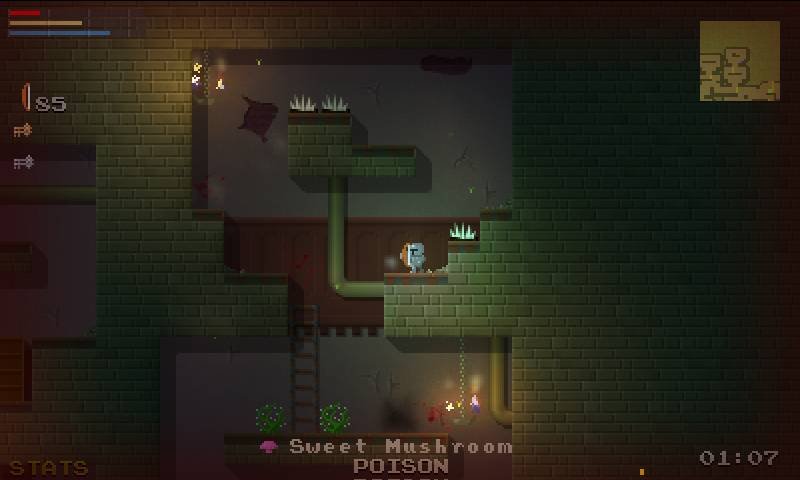 Tagged: "game dev", announcement, demo, gamedev, games, platformer, procedural generation, rogue, roguelike, the dungeoning. I’ve uploaded a new playable demo (check it out on the DEMO page). I’ve made a huge list of changes since the previous demo, everything from enemy AI to level generation tweaking. The controls are now customizable, and there are keys to quick-switch between equipped weapons. Please check out the demo and let me know what you think! Posted in: Game Development, Video. Tagged: "game dev", gaming, roguelike. As development continues, the game starts to come together. I’ve done a lot of work all across the game since the last video. New Game PlusGame win condition. A playthrough of a later level in The Dungeoning – I jumped into one of the later levels so my character has not levelled up as much as required, making things pretty tough. Some of the main new things added since the last dev video are improved weapons displaying in the players hands and some new background decoration being generated. I have posted a dev blog about the game over at the awesome TigSource Forums, there hasn’t been too much activity there yet but check it out!